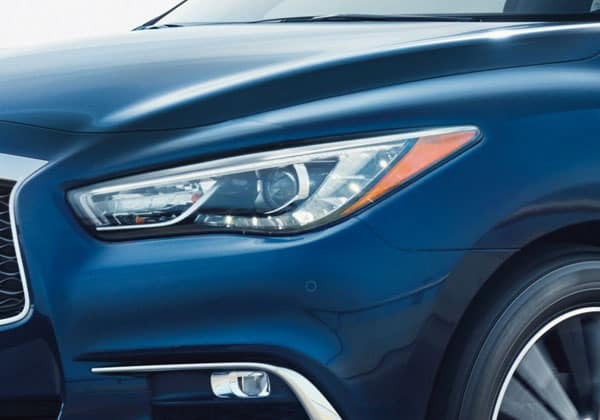 Now available at Berman INFINITI Chicago, the 2019 INFINITI QX60 is a luxury SUV that provides productivity in bunches. 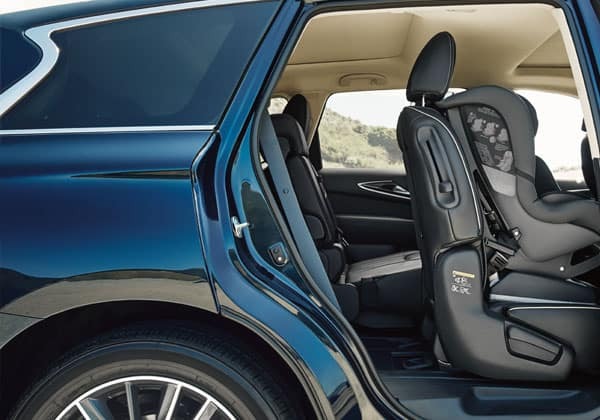 The 2019 INFINITI QX60 offers features that will connect you to the outside world, while maintaining the safety of each passenger. 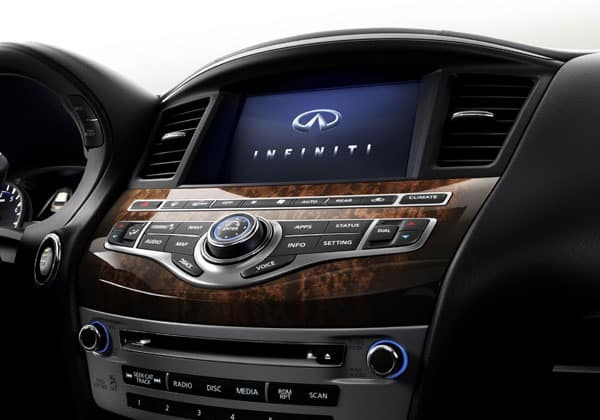 Visit Berman INFINITI Chicago at 640 N LaSalle Dr today or call us 312-476-8000 for a test drive! The 2019 QX60’s sleek design is a thing of beauty. The double-arch grille is embellished with bi-xenon headlights with LED any time running lights. A power sliding tinted glass moonroof with a one-touch open/close. Other QX60 exterior features include large LED taillights, High Beam Assist and acoustic glass front windows. 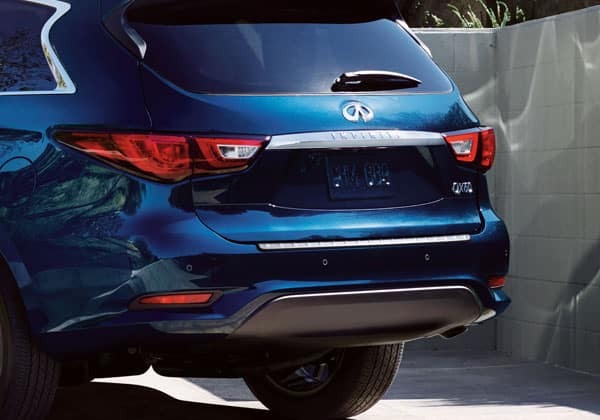 Simply swing your foot under the rear bumper of the 2019 INFINITI QX60 for Sale in Chicago, IL and watch the Motion Activated Liftgate swing open. No need to reach for a button or lean up against the car with those grocery bags in order to slam the door shut. Advanced safety features such as Backup Collision Intervention and optional Around View makes the QX60 a safe ride for each passenger aboard. Lastly, the collapsing of second and third row seats make it possible to accommodate your cargo for whatever journey you choose. Never lose touch in the QX60. From the time you get behind the wheel, the world you were living outside of the car transitions smoothly into the vehicle. INFINITI InTouch Services provides connectivity between you and the outside world. Also, Around View Monitor system makes parking a whole lot easier. Four cameras positioned around the vehicle gives you a virtual 360-degree birds eye view on your display of any unexpected hazards. Forward emergency braking with pedestrian detection & backup collision intervention are two stellar safety features. The Forward Emergency Braking can measure the distance between both the car and pedestrians and the vehicle ahead. The system works by providing an audio and visual warning when it senses danger. The backup collision intervention gives drivers confidence by heightening awareness around them in the vehicle. 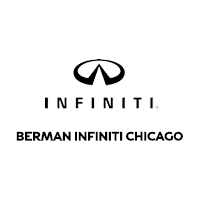 You can visit Berman INFINITI Chicago at 640 N. LaSalle Dr in Chicago, IL to see the 2019 INFINITI QX60. You can contact us to schedule an appointment, or get directions below!